Retail Staff Hiring Services in Bhopal - Lakkho HR Consultants Pvt. Ltd. 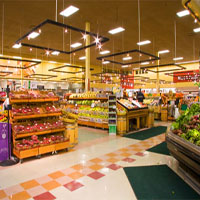 In the past few years, many national and international companies have ventured into the Retail Sector of India. Various malls, supermarkets, brand retail outlets, etc. have been established all over the country. There has been a rise in the need for efficient manpower in the Retail Sector. Our expertise lies in presenting the most suitable manpower for all Jobs in the Retail Sector. The candidates, registered with us, have the required skills and qualifications. We recommend the best candidates for positions such as Managers, Sales Executives, Team Leaders, Cashiers, Accountants, etc.